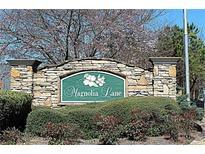 Holly Springs Crossing - Non Covenant, No Hoa Dues, Swim/Tennis Available. Move In Ready. 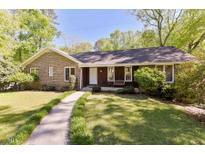 MLS#8547713. Listwithfreedom.Com Inc.
All Appliances And Washer And Dryer Remain With The Home. MLS#6537466. Realty One Group Edge. 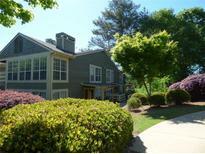 Only 6.5 Miles From Kennesaw State University. Easy Access To 285 & 75. MLS#6537380. Virtual Properties Realty.Com. Colleton Plantation - It Also Feature A Jacuzzi Tub. MLS#8563506. Shelters And Spaces Inc.
Quiet Neighborhood Within Walking Distance Of Hospital, Shopping And Restaurants. Don'T Miss This Affordable Opportunity. MLS#6537158. Maximum One Realty Greater Atl..
Emerson Hill Square - This Is 'In-Town' Lifestyle At Its Best! MLS#6536263. Maximum One Executive Realtors. 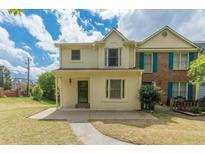 Close To Town Center Mall And Convenient To 575 And 75. MLS#6535342. Virtual Properties Realty.Com. No Hoa, Fee Simple. No Rental Restrictions. MLS#6536297. Sellect Realtors, Llc..
Come Make This House Your Home! MLS#6536303. Maximum One Realty Greater Atl.. The Community Is Designed For Your Active Lifestyle W/Everything You Want And A Home That Won'T Hold You Back So You Can Go Live...Insired. Haven-East Haven. MLS#6535814. Berkshire Hathaway Homeservices Georgia Properties. *2nd Master Suite Options Available With This Plan. MLS#6535844. Berkshire Hathaway Homeservices Georgia Properties. 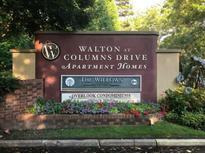 Meeting Park - Golden Egg Savings & 2% In Cc To Use Preferred Lender For All Homes Sold By 4-15-19 MLS#6536164. Mark Spain Real Estate. Salem Woods - This Meticulously Maintained Townhome Is A Must See! MLS#6531721. Re/Max Around Atlanta Realty. Willows By The River - Walk To Chattahoochee River National Forest Park & Close Proximity To 400 & 285 And The Brand New Braves Stadium! MLS#6536213. Keller Williams Realty Partners. Beds, Tables, Sofa, Washer Dryer, Refrigerator, Dinning Table, Swing In Back Yard Ask For More MLS#6536212. Maximum One Greater Atlanta Realtors. The Kitchen Has All New Granite And Quartz Countertops. All New Custom Windows. MLS#6535891. Keller Williams Realty Signature Partners. Upstairs Includes Oversized Master Suite And Guest Suite, Lower Level Features Second Family Room, Bedroom/Full Bath And Walk Out Back Yard. MLS#6527705. Dorsey Alston Realtors. Terrell Mill Estates - Full Unfinished Basement Is The Perfect Canvas For Whatever Your Family Needs. MLS#8561405. Keller Williams Rlty-Atl.North. Oak Creek Estates - Home Sits Atop A Private 1/2 Acre Lot In An Established John Wieland Swim/Tennis Community. MLS#8561951. Keller Williams Realty. 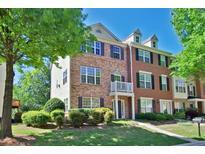 Salem Woods - Don'T Miss This Move-In Ready, Brick Front Townhome In Sought After East Cobb! MLS#6533914. 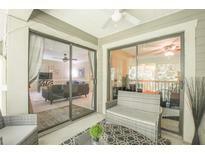 Solid Source Realty Ga, Llc..
Lovely Townhome With 2 Car Carport And Ample Parking. MLS#6534695. Dorsey Alston Realtors. Wall Removed-Impressive Open Concept * Kitchen: Exotic Granite Island, Cabinets, Stainless Appliances * Great Room: Wall Of Windows, Ready For Tv Over Fireplace * Owner'S Suite: Carrara Marble Tub/Shower, Double Marble "Floating" Vanity, Walk-In Closet, Sitting/Study Loft * Laundry Room * Powder Room: Furniture-Style Vanity, Mirror & Lighting * Hardwood Floors & Re-Built Hardwood Stairs * Enclosed Patio Swim/Tennis/Community Pavilion * Close To: Shopping, Dining, Gyms, Walking Trails * 4.6 Miles To I-285 MLS#6535157. Atlanta Fine Homes Sothebys International. Walk To Nearby Shopping And Restaurants. MLS#6533965. Harry Norman Realtors. 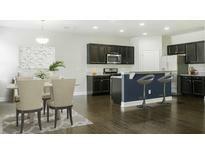 Entertain In Your Full Finished Basement With Media Room, Game Room, Full Bath And Additional Large Bedroom. MLS#8560323. Keller Williams Rlty-Atl.North. Sleek Slate Tiled Master Bath, Generous Secondary Bedrooms And An Exciting Finished Terrace Level With Media Room, Recreation Area And To Die For Authentic Cheers Style Bar! MLS#8560450. Berkshire Hathaway Homeservices Georgia Properties.